For years I’ve wondered whether unions had outlived their usefulness and were simply using their collective bargaining power to crank up wages and benefits at the expense of…well…who knows what. But the wildcat strike arising out of the Edmonton Remand Centre labour dispute proved me wrong. The Edmonton Remand Centre is the largest and most technologically advanced facility in Canada. Planning and construction of this state-of-the-art facility, which is the size of 10 football fields, started in 2007. Total cost? $580 million. In April the facility was preparing to receive the first of 1,952 inmates when two correctional officers raised safety concerns relating to design flaws and the guards’ lack of readiness to accept 800 inmates who would soon be flooding through the doors. Deputy Premier Lukaszuk further inflamed the situation by calling the complaints a personality conflict between staff and their supervisor. This sparked wildcat strikes across the province as guards, sheriffs, social workers and clerks walked off the job in a show of solidarity. Courthouses shut down, trials were postponed and the matter finally got the media attention it deserved. Before we leap to the conclusion that correctional officers are big boys who should stop whining and get on with their jobs, let’s gather the facts. Fact #1: A “remand” centre is a facility built to hold inmates awaiting trial. Some are accused of violent crimes; others are considered a flight risk if they’re granted bail. Incarceration is measured in days and months, not years and decades. All that has changed. Under the new “direct supervision” model, correctional officers are no longer separated from the inmates. Quite the opposite. Now a (as in ONE) correctional officer will be in direct contact with 48 to 64 cells. His responsibilities have also changed. He’s expected to supervise inmates, not just observe them (ie. prevent vandalism and violence instead of just respond to it). Supervision includes influencing an inmate’s behavior by granting or withholding privileges like family visits and access to TV. Fact #4: This was not the first time correctional officers brought their safety concerns over design flaws to the government’s attention. They’ve submitted pages of issues throughout the planning and construction phases and have been ignored…until now. It is absolutely essential that a change of this magnitude be well thought out and carefully implemented—particularly when 800 inmates are delivered on the doorstep to be processed within 48 hours. Instead of suspending correctional officers and trivializing their safety concerns as personality conflicts or collective bargaining histrionics, the government should have investigated these concerns properly. 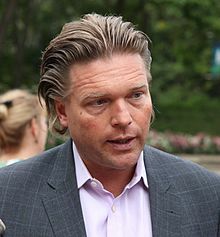 (It’s mildly ironic that Deputy Premier Lukaszuk would dismiss these safety concerns so quickly when he himself ran to the police in the last election complaining that a constituent punched him while he was door-knocking—the constituent was a 67 year old man dying of liver failure and on the waiting list for knee and shoulder surgery). Instead of characterizing this event as an “us-against-them” battle (Alberta taxpayers against the union) and demanding the union pay the government $1.3 million to cover the (alleged) cost to backfill the striking employees and instead of demanding a 6 month suspension in union dues, the government should be satisfied with the $350,000 fine already imposed on the union by the courts. Instead of trying to save face by agreeing to investigate “new and specific” safety concerns (the same ploy the government used in the Queue Jumping Inquiry) the government should follow up on the pages of concerns tabled in connection with the Edmonton Remand Centre over the last 5 years. While we’re on the topic, there is absolutely nothing wrong with striking (literally) when the iron is hot if the union has exhausted all of its legal remedies and it’s the only way to ensure that its membership will be safe. Which brings us full circle. The union movement was born in the Industrial Age in order to protect workers from exploitation and unsafe work conditions. It continues to serve the same purpose today. Doesn’t say much for how far we’ve come, does it? ***The discussion of the three models of inmate management comes from the paper “Direct Supervision Jails: A Management Model for the 21st Century” by Stephen I Saunders III. This entry was posted in Crime and Justice, Politics and Government and tagged Alberta Union of Provincial Employees, Correctional Officers, Direct Supervision Model, Edmonton Remand Centre, Lukaszuk, Occupational safety and health. Bookmark the permalink. Susan, great article – thank you. In a time when every paper always negatively criticize the Unions it is refreshing to have a fair view of what happened. People today have forgotten that they can thank the unions for the paid vaction, weekends, overtime and decent working conditions they enjoy today. Lots of people, misguided by the media really believe that business gave all of that to us because they thought we deserved it. Thomas Lucaszuk is the Justin Bieber of this govenment and soon it will be his time to face reality. The only reason he has not yet, is only because the premier is in permanent Disney World. I cannot remember where I have seen it, but one of the Union members invited Lucaszuk to move his office to the prison to be able to evaluate the problem for himself. I would not give him 3 seconds for a full blown panic attack if not something smellier. The story you mentioned about the 67 years old is just one of them. Remember the one when he was the hero and intervened with some teenagers? I think that was a dream of some kind. Apparently the police neve found any evidence on that one. I see the spin doctors have jumped into serious action lately. Alison Redford is on television daily with little kids and senior citizens. The same people she just hammered on the head a few days ago. It is really disturbing especially when in the meantime big oil executives are taking to their Bahama accounts piles of money donated by all of us because we just cannot decently manage our own resources. At the Federal level, the fiscal conservatives do not know what happened to 3.1 billion dollars allocated to security. Screwed up the boat contract just like the F35s and apparently have 29 billion dollars in unpaid taxes! In the meantime they go door to door making sure they get back the extra $100 dollars some people got on their unemployment insurance pay cheques. The foreign workers temp program is another joke and I would like to know who was the brilliant mind that thought out that foreign workers should be paid 15% less that Canadians workers doing the same job. Is the government saying that they are less than us? Is this some kind of hidden racism? NO of course not. So is this some kind of rule allowing businesses to exploit foreign workers so they can make a little more? Or is this a strategy to get Canadian wages down? Of course not says Jason Kenney!!!!!! Excellent assessment and critique. It seems the love of power is still overtaking the power of love in Alberta. Such behaviors are forms of bullying and abuse the same government wants to end. Working to provide healthy relationship courses – I do not see a shortage of work in the near future. It seems to me the wrong end of the system is being mandated to take such courses. Bruce I do not know if you live in Alberta but as far as I am concerned these people are beyond repair. Courses would be wasted money as well. The only option is to get them out of there before it is too late. We got to the point where to save this province from fiscal ruin we changed seniors benefits to one bath a week from two. Imagine. Apparently each bath costs us $25.00. This decision from a premier that went around the province to find out from Albertans what they valued most. The answer was clear – Education, Health Care and Senior Care. What does she do? Cuts of the three of them. In the end they backed out of the two bathgate – I guess they realized that at $25.00 a shot the savings are hard to achieve. In the meantime she goes to the Olimpic games in London and spends half a million dollars in trinkets and luxuries. I wonder if she even realizes how many baths that is? Need a calculator? Carlos it’s incredible how a legitimate safety complaint by two correctional officers blew up into this mess. Guy Smith, AUPE president, handled this situation extremely well—especially when Ms Redford, Mr Denis and Mr Lucaszuk became vindictive. I was stunned to read that Ms Redford and Mr Denis demanded that the Union pay $1.3 million to cover the cost of bringing in the RCMP etc who filled in for the striking correctional officers and further demanded that the AUPE suspend the collection of union dues for 6 months. The government does not have the power to make such demands. Only the courts (who already imposed a $350,000 fine) and the Alberta Labour Relations Board have the authority to issue sanctions. It’s frightening to see that Redford and her Justice Minister have forgotten the separation between the Legislature and the (supposedly independent) judiciary. Guy Smith’s response was perfect. He said that the AUPE will deal with the government’s demands in “the appropriate forums.” I hope the government is paying attention. I did not know that only courts could make such demands. You would think that a Lawyer like Ms Redford would know that correct? Well I am sure she does. Unfortunately she also has a very poor understanding of other people’s rights. Yes Susan you are absolutely right. These were in the eyes of 99% of people I have talked to, very legitimate concerns that the government has been ignoring only because it comes from the Union and they just hate them. Their ideology makes them completely blind to workers legitimate concerns. Once again she showed Albertans she is just not fit to govern this province. Yes, Ms Redford may make all the “demands” she likes, but she won’t be able to force the AUPE to pay the $1.3 million or suspend union dues for 6 months unless she brings a law suit in the courts or forces the Alberta Labour Board to make such a ruling (this last one would be particularly heinous given that the Alberta Labour Board an independent board). I think Ms Redford is trying to “spin” the wildcat strike to her advantage by “demanding” that the union to “repay” this cost to the taxpayers. This is utter nonsense. In the first place the union doesn’t owe the taxpayer anything. Secondly, if Ms Redford really believes in “repaying” taxpayers for funds that were used inappropriately (which isn’t the proper characterization of this situation) then she should have demanded that departing health board executives Sheila Weatherill and Jack Davis repay the millions in severance they received when they left the regional health boards and Allauddin Merali repay the $350,000 he ran up in expenses for butlers and Mercedes upkeep. There’s no logic in her position, just political spin. Bruce, good point. Not only has the government missed an opportunity to set the tone for bullying, it’s totally missed the boat on the safety issue. Everything I’ve read about instilling a good safety culture says that an organization must set the right “tone at the top”. In this case there hasn’t been a shred of evidence to indicate that the government worked with the correctional officers to address their safety concerns. By ignoring its obligation to investigate and rectify the situation the government violated the Occupational Health and Safety Act and sent a terrible message to ALL Alberta workers; namely that the Act isn’t worth the paper it’s written on. If the government can violate the law what’s to stop anyone else from violating it. This is certainly not setting the right “tone at the top”. Susan I absolutely agree. The difference is workers versus her class of people and of course Unions are useless in her eyes despite the fact that she gave a speech to a Union gathering recently. That is just show. She knows that spin wins the day and so she is good at it and we all know how creactive the 250 Communications employees can be. During the Klein years they managed to get Public Employees reputations as low as a check grabbers. I read at least twice this term in the Sun newspaper. These atittudes usually work like a boomerang. I am sorry Susan for this post but I just could not control myself with JOY. Our senators were caught with their hands in the cookie jar. A couple decided that they could no longer hide it and paid their STOLEN taxpayers money back. This morning they celebrated with drinks and cheers the show of LEADERSHIP. Then they ask why our youth has no respect for authority at all. Neither do I. 1 – First of see the opportunities to get some easy free cash. 2 – You steel and then continue to get more and more. 3 – If someone gets caught you deny and deny and see if the scandal goes away. 6 – Finally you put on a party to celebrate your leadership and your integrity in paying it all back. This helps a lot to get your previous reputation and continue in the hunt for new business opportunities. 7 – Do not worry with the govenment – at first they bring out the guns like they are doing with the offshore money now and they use one or two as examples but soon they will let it go because after all a lot of the money that supports their party is most likely from those offshore accounts. I partucularly like the fact that the government is fighting for the CBC list of cheaters. They know what colour is each one of our underwear but God forbid they can get access to the offshore accounts. We all have known for decades all of this is happening but not the Harper drean team, no sir. This was an amazing story Carlos, especially the celebration of leadership bit. Wow. Thanks for passing it along.